Three Stop Hop is a series from Recommended Daily and Visit KC that lets you experience a neighborhood or corner of the city in three unique stops. 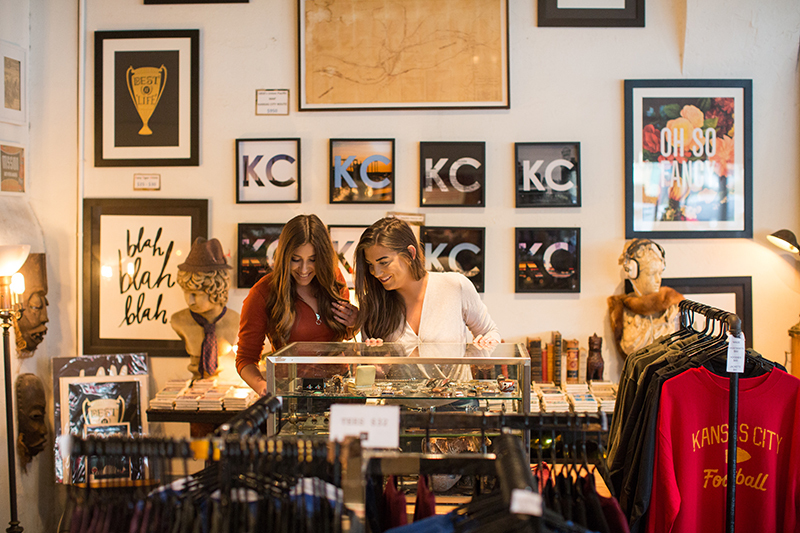 Make your way to Kansas City's Westside neighborhood, where you'll find three flavorful and fashion-forward destinations just steps away from each other. Westside Storey is a collection of Kansas City stories. The eclectic shop is a pleasing blend of local history and emerging KC designers. Before Charlie Hustle was Charlie Hustle, heart T-shirts leapt off the shelves at this Westside store that opened in April 2013. The first things you’ll see when you walk in are the rows of vintage bobbleheads in a case at the front counter. The tiny greeters are a collection carefully honed by owner Chris Harrington, who lets his sense of design and love for antiques create a space that is like a museum where you get to touch things and take home whatever you want from the gift shop. Westside Storey engages all your senses. Ocean & Sea provides whimsical designs that expand our landlocked horizons, while Pickwick & Co. will have you thinking of modern cowboys with a series of rustic, and comfortingly familiar, scented candles. Bellboy, the shop’s house brand, has T-shirts and sweatshirts (in particular, the Kansas City pennant design) that you’ll recognize even if you never knew they were made by Westside Storey. As you walk through the shop, look up to discover its hidden stories. Don’t miss the vintage Buffalo head from the now-closed Savoy Grill or the thoughtful tribute to Lee Jeans and its mascot Buddy Lee. A block away from Westside Storey, a neon sign calls you into Fox and Pearl, which is serving dinner in a former house on the Westside. After running a successful butcher shop and restaurant named Hank in Lawrence, Kan., chef Vaughn Good and his wife Kristine Hull made the move to Kansas City in 2018. 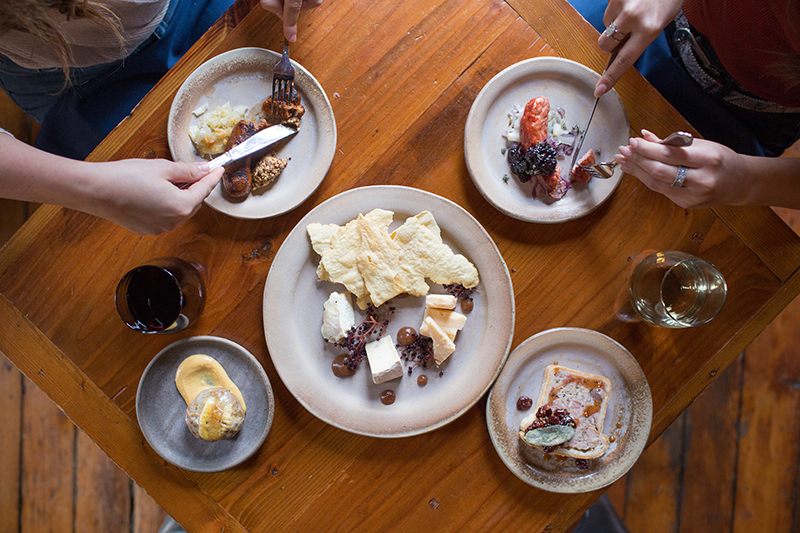 They brought the same commitment to using the whole animal and highlighting local ingredients to a series of small plates designed to reveal the best of what our local agricultural community has to offer. Smoke is a subtle and beloved character here. Smoked apples lend depth to sweet potato soup and vegetables often have a memorable char. For carnivores, the charcuterie board has been broken down into a series of dishes that each have a different house-cured meat at the center. The foie gras boudin, a sausage with cured pork and chunks of foie gras, is poached in duck fat. The fried chicken is an exercise in restraint. Local chickens are brined, dipped in an egg wash and two coats of flour, then deep fried. You'll be thinking about this succulent dish long after your dinner is done. Chef Good has a neat ability to find balance in luxury. And that’s because he treats vegetables with the same care as the meat that defines Fox and Pearl. You’ll want to pick up the bowl of tortellini brodo with two hands to make sure you don’t miss the silky last bit of vegetable broth flavored by dehydrated mushroom stems. After a dinner of whole farm cooking, you’ll appreciate the brief walk back up the hill for your nightcap at The Westside Local. 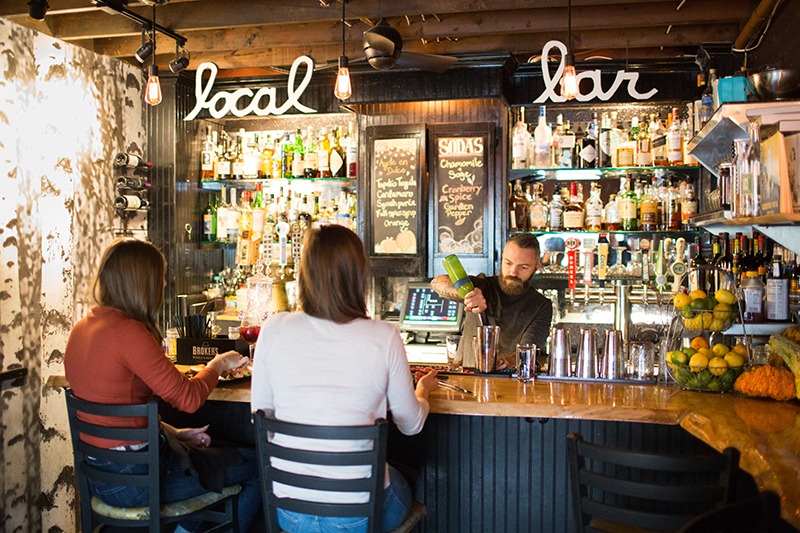 When it opened in 2009, “The Local,” was modeled around the idea of a public house, a spot where you could meet neighbors for a drink and a bite, or hold court all night. The main dining room just inside the front door is a long and open with exposed brick walls and a soaring ceiling defined by wooden rafters. Step through the dining room to the attached pocket bar with a black-and-white photo of trees that’s been transformed into the kind of wallpaper you’ll want to find a way to hang in your house. There’s only three seats at the live edge bar and that’s where you’ll want to be to get a glass of absinthe or one of the house cocktails made with herbs grown in the garden behind The Westside Local. Case in point: the Westside cocktail made with cilantro syrup, lime juice, and tequila. The Two-Eyed Jack is the restaurant’s version of an Old-Fashioned with bourbon, house hibiscus liqueur, bitters, and a cherry. Dessert is a rotating cast of temptation. Pair croissant bread pudding with sherry or ask about the cake of the night, which may very well be mini apple pies. Just know this... as soon as you see one of the cones of crispy fries arrive at a nearby table, you’ll feel compelled to combine sweet and salty plates. It’s the right decision. Go for it while you sit back and talk about your evening spent walking through and eating your away across the landscape of Kansas City. Jonathan Bender (@jonathanbender) is a food content editor at KCPT. Founder of Recommended Daily. Author of Cookies & Beer, Stock, Broth & Bowl, and LEGO: A Love Story.